A built-in entertainment center is a great way to save space and create a unique entertainment center for your home. The built-in shelving and cabinetry will open your eyes to space you didn’t know could be utilized and effortlessly add a classy look to your home. Let’s review some of the options for built in entertainment centers and figure out which one is right for you. Getting a built-in entertainment center in Los Angeles doesn’t have to be big and neither does the flat screen that goes into it. If you have a smaller flat screen, or a smaller space to work with, be sure to scale the size of the entertainment center appropriately. Consider using a custom design that has less shelving and cabinets, and instead just focuses on housing the television. This allows the great look of a built-in entertainment center, while still leaving free space for other shelving and décor. 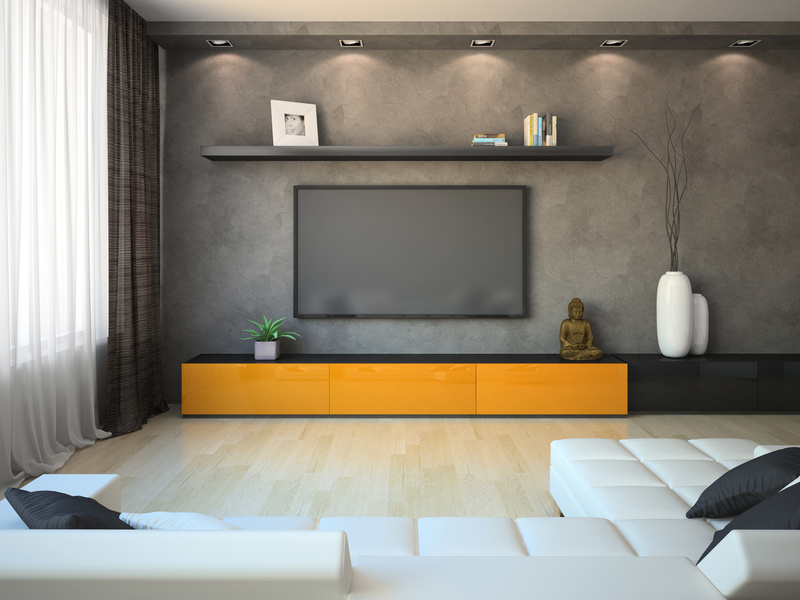 Floating cabinets offers a great option to take on a more modern look for your entertainment center. Floating cabinets are supported by the wall, instead of the floor. 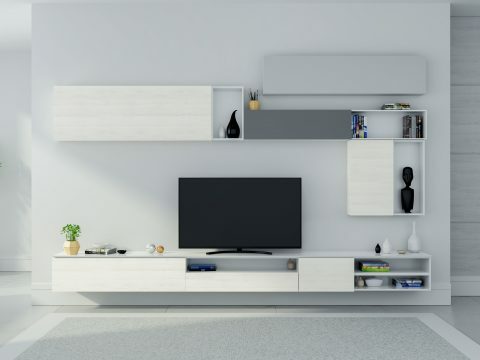 This option allows your television to be raised higher from the floor without unnecessary cabinets and shelves underneath raising it from the floor. Instead, the cabinetry and tv space start higher on the wall. This creates a better angle for viewing the television from different areas of the room, and a unique, personalized look. If you have a large enough space to pull it off, a whole wall built-in entertainment space is a great option for statement piece that can house a much larger television. W whole wall entertainment space offers endless options for cabinetry and drawers that can be used for storage adding a great look to your space. A whole wall option also allows a much bigger television, without overwhelming or standing out too much in the room. This whole wall option can be done in a variety of colors as well, which can act as an accent wall to the room. The shelves can act as bookshelves, more space for décor pieces, and anything else you could possibly need. Arguably the biggest trend in living room décor right now is hanging the television above the fireplace. Built-in entertainment centers make this concept even easier to achieve and more functional than ever before. With a built-in entertainment center that places the television above the fireplace, you’ll have a space that is classy enough to host a cocktail party and relaxed enough for Super Bowl Sunday. By creating a space for the television above the fireplace, you get the best of the floating mount option and the whole wall option discussed above. This placement naturally raises the television that puts it at the perfect height for viewing from any angle of the room. It also allows space on either side of the fireplace to create a whole wall storage area with shelves and cabinets that act as a part of the entertainment center. If you’re working with a smaller space, you can create a more low-profile space for the television above the fireplace, without the whole-wall shelves on either side. Despite the size of the room you’re working with, a built-in entertainment center that is above the fireplace is a great option that creates a classy and timeless feel to the room. The most important thing to remember when designing your built-in entertainment center is functionality for the space. Don’t overwhelm the room, but take advantage of the added storage that can be found in a built-in entertainment unit. If you’re unsure what would work best in your space, start with a simple low profile or floating option, which can be transformed into a whole-wall unit later on if you decide to do so. Remember to choose cabinetry colors that compliment the rest of your home décor, flooring, and paint colors. 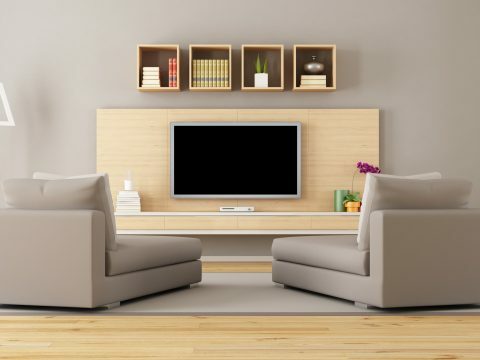 If your home is filled with dark hardwood, consider a white or light wash colored entertainment unit. If your floors or carpet is a lighter toned, go for a rich, dark entertainment unit to add texture and color diversity to the space.For more information or to schedule a free consultation for a built-in entertainment center in Los Angeles please contact The Closet Guy.